When your child asks you for something, it can be very difficult to say no. What is even worse is when they ask you to do something a handyman would do, but you simply have no idea how to get started. One of the things that kids all over the world have come to love is the idea of having their own little hideaway. As we all know, this is called a fort or treehouse that can provide children with lots of fun for next few years! Some designs can be very elaborate and would intimidate even the handiest of handymen, but others are very easily to follow and will be a joy to build even if you are lazy. 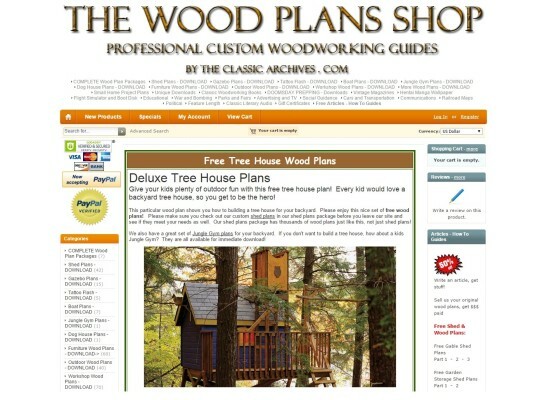 We have constructed a list of the best free plans, along with instructions that can be used to create house on tree your kids will love. 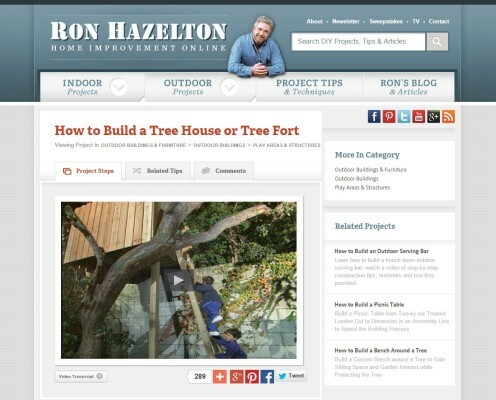 Ron Hazelton is a very great builder that does something others do not: convey the building process with ease. It can be difficult to build any structure and when kids are in it, you will be even more paranoid of injury or something going wrong. Follow 10 steps, all in video format. 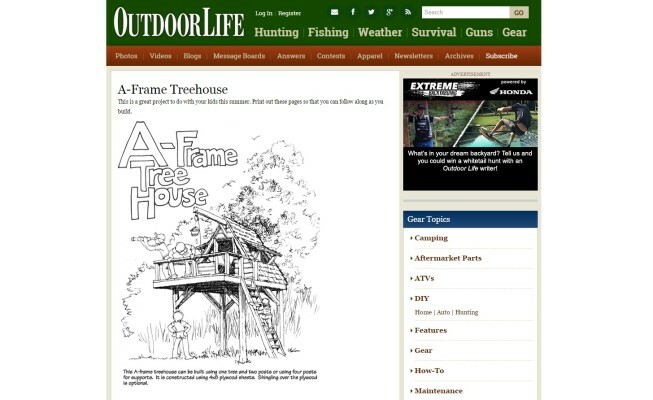 Make a treehouse on a budget. The best part is that this one is kid-safe and only requires 2 x 8 posts and 4 x 4 posts to get started. You will need a few other pieces of pressure-treated wood to begin, but don’t worry, the items you need are minimal. Keep in mind: The finished product will have a ladder, walls and a safe area where kids can play. While a little hard to follow at first, this guide simply outdo our first choice. Why? This is one awesome construction with an actual house in the middle so kids can have fun even in the rain. 1 page of all the items you need. 1 page of the actual plans. Now, you get started with everything from framing to the final product. There are pictures present through all of the steps to help you build your fort with greater ease. Pay attention: The one thing to note is that this is a much harder guide to follow and you will want to have previous experience to be able to successfully complete this project, or a lot of patience. The San Pedro is an awesome house that is simply stunning. Built around the tree, this is a complete hut with a little doorway and even a window that kids can look out of (glass is optional). You will find that this building even has a little balcony that kids can overlook. Actual plans (even for floor) to follow. 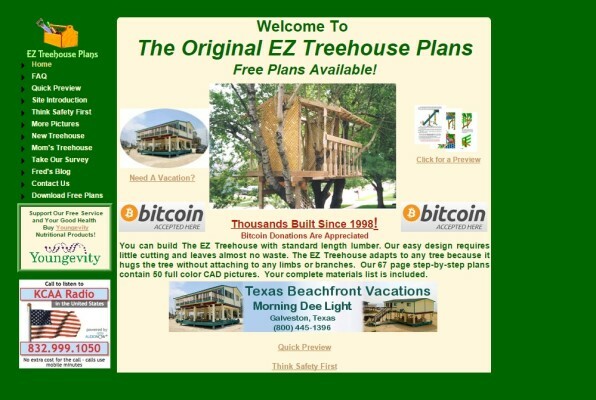 Full listing of tree requirements. Video showing you how to construct this small building. 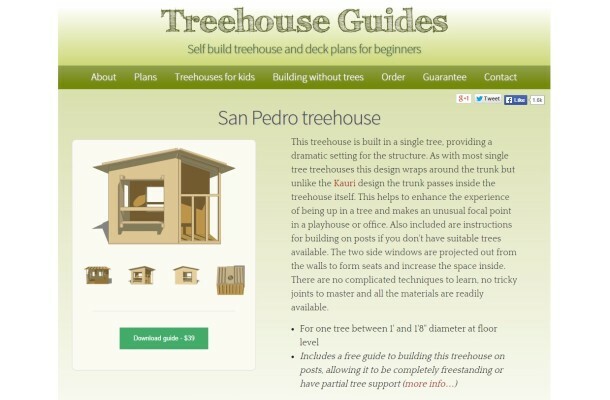 You can buy the complete guide for this design, or you can use the video included to make your own construction without having to actually buy the guide. Keep in mind: We prefer the guidance simply because it lists everything from supplies to how many people can sleep in this space – 2 adults or 3 children. 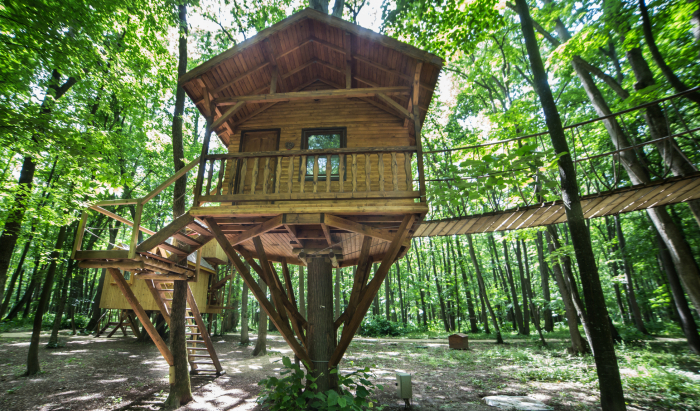 This is one of mine favorite designs and is a fully functional treehouse that is actually built on a base and not in a tree. You can even look at extra scheme to create a lookout tower for it. The construction is huge and is fully roofed. 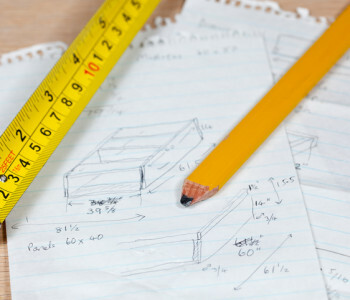 The plans show you how to make beds. You will make a ladder and pulley system. There is an outside door. Virtually everything you could want in a house is included. This is a fantastic design and the instructions are fairly straightforward. Keep in mind: You will want some previous building experience as this guide can be vague in some sections, or you will need to follow the picture diagram exactly. If you want a thorough plan that does not leave out any detail, this is the one for you. What is different about this one than the others on our list? It spans a whopping 66 pages in length! For me, this is too much, but for the novice builder, this is a real treat that will discuss everything you need to know. If you are curious about the final design, scroll down to the last few pages to view it. Keep in mind: This is a great model with awesome stairs, but there is quite a bit of reading involved. Do you want a kit or a plan to follow that has been professionally made? If so, this is the option for you. These schemes are not free, but they are definitely worth adding to your list. For just $49.99, you will receive instructions that allow for a fully roofed dwelling along with a side window and a deck that kids can walk around and play on. The house measures 8 x 12 feet and is spacious inside. The one neat thing about this company is that you can buy accessories for this guide. Keep in mind: Essentially, you can buy the entire kit with everything that you need to build this construction from scratch. Pretty cool, right? 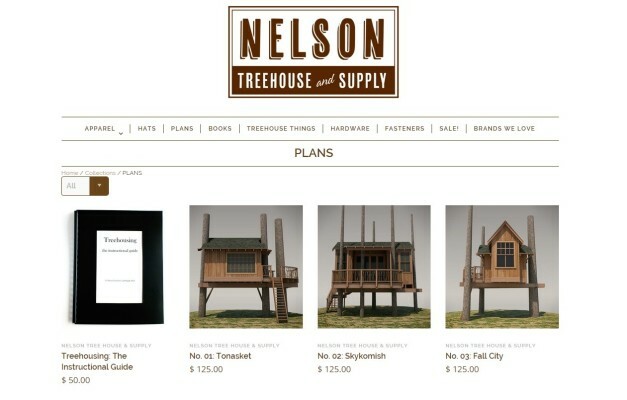 When it comes to options, Nelson Treehouse and Supply has to be mentioned. Again, these designs are not free, but they are very, very detailed. 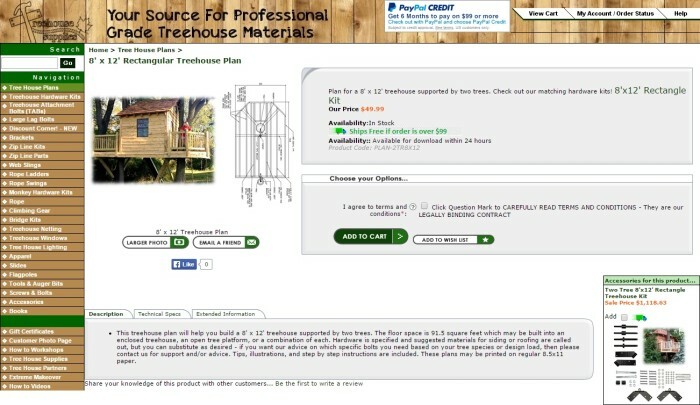 In fact, there are over 14 versions listed that you can purchase to make the perfect treehouse. Why do we include Nelson on our list? Some of these are very intricate. One even includes a winding staircase that you can climb to get into the dwelling. Others include many windowed designs, doors, large decks and more. Keep in mind: You will find versions that require 1 – 4+ trees to be able to fully complete this model. If you really want to surprise the kids, these are the schemes you will want to have with you. Many of the options we have listed will require the help of another person; however, if you are experienced, most of these plans can be done alone. Always practice caution when building your treehouse to ensure your own safety.